Media buying is the art of buying advertising from a media company. In my case, I buy advertising spaces from different adult ad networks. The most important of these are ExoClick, AdXpansion, PlugRush, Traffic Factory and TrafficHunt. The whitelist topic I’m going to write about is part of a wide subject called campaign optimizations. It can have several different approaches for each ad network and is full of possible variable parameters. These parameters may be correlated. Moreover, too many alterations in a short period of time may have a negative impact on the campaigns and, consequently, on profit. That’s why it’s important to understand that media buying is a demanding activity; it requires a complete and thorough statistical study as well as consistent data analysis. Now let’s discuss the topic at hand: whitelist campaigns. First of all, you should bear in mind that websites are just one of the possible parameters we can optimize (the most commonly optimized are Carriers, Operating Systems and Banners). Each time we create a RON campaign in a specific segment (Country + Operating system + Operator) we target all the available websites for a given ad network. After some time has passed since we created the RON campaign – a period which depends on the segment – we can analyse data with a particular emphasis on website stats. An example for PlugRush “referrals” (websites) may be seen in Image 1. In order to create a whitelist, you should first choose the websites which have the best performance by looking at volume and eCPM (Revenue by 1000 impressions) or eCPV, in the case of PlugRush, or eCPC in the case of Traffic Factory, etc. The eCPM will give you an idea of the bid you can set for a specific website or websites list. If we have a RON campaign with a few well performing websites (high eCPM) we may try to get a higher bid position by creating a new campaign with a higher bid for those websites. As you go for better quality positions, your eCPM will naturally increase, as well as the volumes. You may choose a safer strategy, bidding slightly below the eCPM value you computed. You can also opt for a more aggressive strategy, by increasing the bid above the eCPM with the goal of securing the first place in a campaign and, by doing this, getting a profitable eCPM. 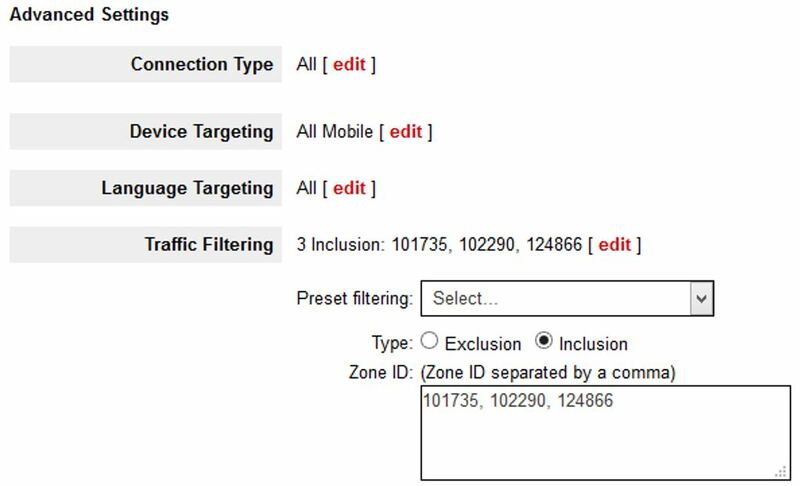 Furthermore, as you’re selecting the best website/s, you can select a wider targeting, by including targets which had been excluded from the original campaign. If they didn’t work for all of the websites, they can be profitable for the best ones only. To get a list of websites with a good performance you may simply leave them running or stop the websites in the RON campaign. It’s more interesting to leave it insofar as you’re able to compare stats and analyse the performances on both campaigns. You’ll probably also be earning money on both campaigns. When it comes to ad networks with SmartBid, if you keep the website in both campaigns (RON and whitelist), you can clearly see if you’re in competition with yourself if the average cost of the whitelist is slightly above the bid you set for the RON. If we have either one or a limited number of websites with plenty of traffic and high conversion rates but with a negative margin in a RON campaign, we can create a whitelist targeting those websites, choosing a lower bid.The bid should always be lower than the eCPM value and higher than the minimum bid in order to run away from a position shared by almost all media buyers. Logically, your eCPM will decrease. Don’t forget to blacklist those websites on the RON campaign. There’s one last purpose for creating whitelist campaigns: for websites with huge volumes, it will be more profitable to create banners adapted for the specific website. You just need to be sure that the ad network allows those misleading banners (for example, both Mindgeek websites and Traffic Factory don’t allow them). 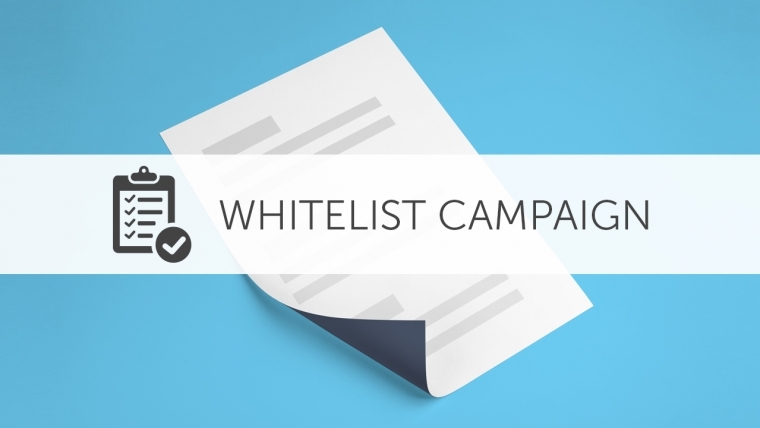 After selecting the websites you think are deserving of being whitelisted you may target those in a new campaign. Don’t forget you should only use the websites list for the particular ad network you’re analyzing. In Image 2, you can see the example of this process in AdXpansion. Images 3 and 4 represent a Ron campaign and a whitelist campaign respectively. They were both created based on the RON campaign statistics. There’s a particular website which makes the importance of whitelists very clear. The website videospornogratis.name was performing well (eCPM: 50.3€). Naturally, it was one of the websites picked to be on the whitelist created and presented in image 4. We may see that, for the whitelist, this site is performing very well, with more volumes and higher costs while also showcasing a positive daily margin. Here’s what happened on this specific website: on the RON campaign, the ROI was high but the costs low. On the whitelist we made the opposite – we decreased the ROI but the margin increased a lot since we invested more. Another strategy is to use buckets. The bucket method consists in creating more than one whitelist along with a RON campaign with different bids, same targeting and change the websites from one campaign to another when the eCPM value requires it. The only difference between the buckets is the bid. A flowchart may be seen on flowchart 1. Wish these tips were helpful! You gotta keep making that paper!